On 16 – 18 January, Nordregio participated in a Social Green external seminar, study visit and project meeting in Tartu and Tallinn, Estonia. Social Green is an INTERREG project aimed at greening the social housing sector in the European Union. 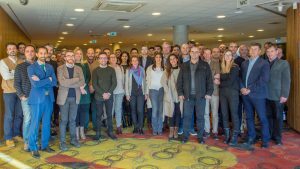 The seminar provided the opportunity to gather the consortium of two INTERREG projects, Social Green and FINERPOL to discuss the development of the financing schemes for retrofitting housing in European cities and regions. A core focus of the discussion was on the experiences of both projects, as well as well as the implementation of the highly successful KredEx investment scheme in Estonia. 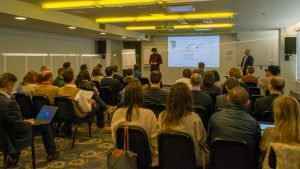 Nordregio is Lead Partner of the Social Green project, working with regional or local institutions in Croatia, Romania, Spain, Portugal and Estonia to develop among other things action plans that will improve investment and policy towards energy efficiency in the social housing sector. Another core focus of the project is support the development of Regional Operational Programmes in Europe toward an increased focus on the social housing sector in general, and on energy efficiency in particular. Social Green is an INTERREG Europe project and will run through 2021. Find the presentations from the meeting here.